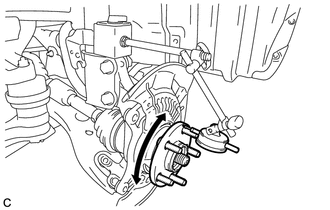 (a) Using a dial indicator, check for looseness near the center of the front axle hub. If the looseness exceeds the maximum, replace the front axle hub bearing. 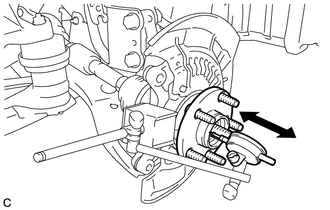 If the runout exceeds the maximum, replace the front axle hub sub-assembly.